Roughly one in six Kitsap County residents are now enrolled in the state’s Medicaid program, called Apple Health. 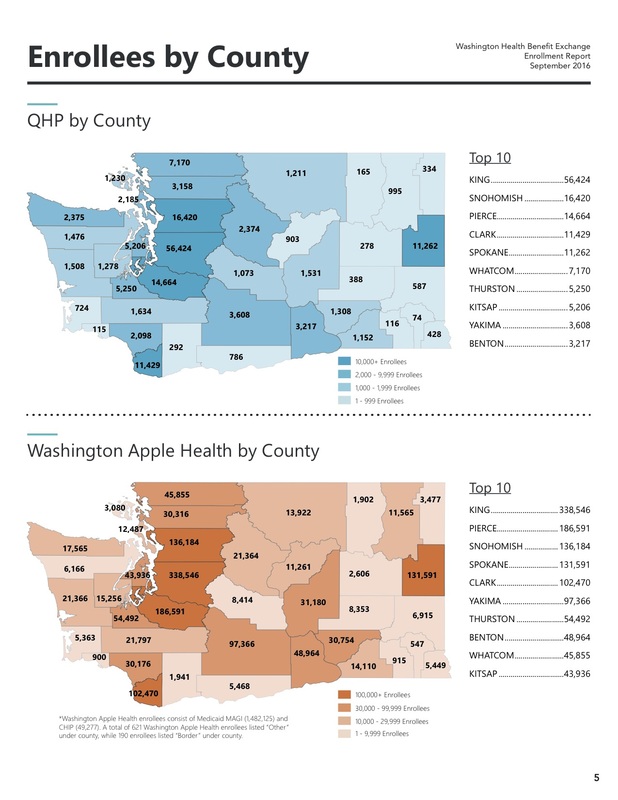 A total of 43,833 people living in the county have signed up for Apple Health, according to a Tuesday report from the Washington Health Benefit Exchange. 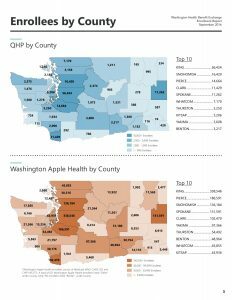 Kitsap ranked 10th among Washington counties for Apple Health enrollment. 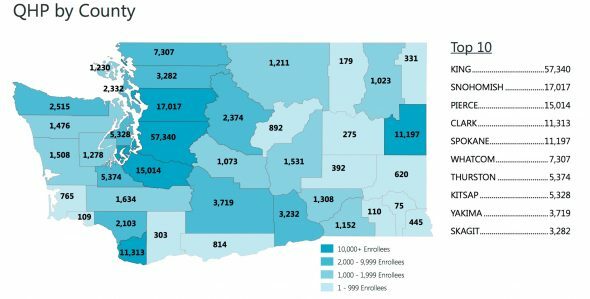 Another 5,328 residents enrolled in qualified plans offered through the state’s individual health insurance marketplace, ranking eighth among Washington counties. Statewide, 1.52 million residents have enrolled in Apple Health and 169,000 purchased qualified health plans, according to the report. The report highlighted statistics from the insurance marketplace’s most recent open enrollment period, which ended Jan. 31. Enrollment in Apple Health continues year-round. 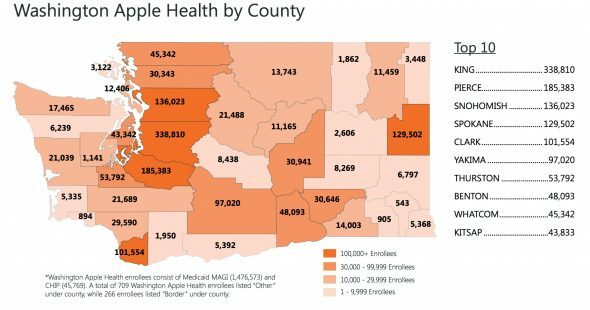 Kitsap County’s uninsured rate fell steeply after the rollout of the Affordable Care Act and the expansion of the state’s Medicaid program. Kitsap had the smallest percentage of uninsured residents in the state in 2014. You can read the full enrollment report here. Harrison Medical Center has seen a steep increase in ER visits at a time when hospitals are working to reduce patients’ dependence on emergency care. 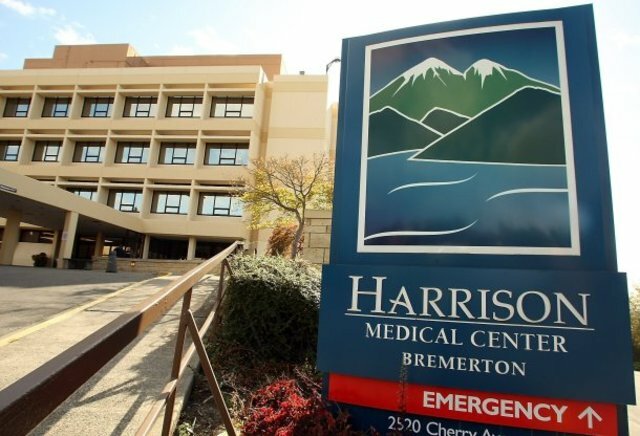 The number of visits to Harrison’s emergency departments in Bremerton and Silverdale jumped from 67,965 in fiscal year 2014 to 79,950 in fiscal year 2015, an change of nearly 18 percent. The Harrison ERs remained busy in the second half of 2015, receiving another 39,468 visits. The increase in emergency department use was somewhat surprising given Harrison’s recent success in reducing preventable ER visits. It was also hoped the rollout of the Affordable Care Act and expansion of Medicaid would lower emergency department dependence, as more residents gained access to primary and specialty care. Only 5.6 percent of Kitsap residents lacked health insurance in 2014. So why are ER visits still climbing at Harrison? 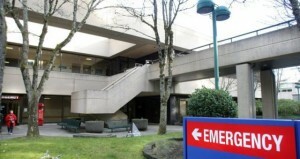 Naval Hospital Bremerton converted its emergency department to an urgent care in 2014, and stopped offering emergency care. This change is routing more emergencies to Harrison. I haven’t seen figures for how many emergency visits the Naval hospital received before the conversion, but the facility serves a large population. About 29,000 active-duty service members, retirees and their families are enrolled at the hospital. 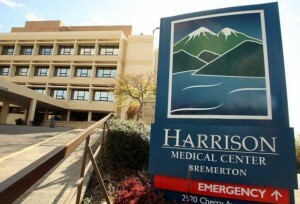 Harrison reduced hours at its Port Orchard urgent care at the end of 2014. The clinic is no longer open 24-hours, so some of those overnight visitors are checking in at Harrison ERs instead. There’s a shortage of primary care providers in Kitsap. Even as residents gain health coverage, they may still struggle to access care. Harrison is launching a residency program over the next few years with the hopes of injecting more young doctors into Kitsap’s medical community. 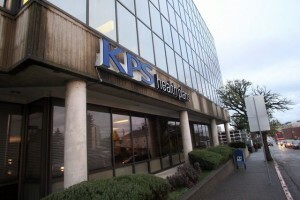 Regulators have approved KPS Health Plans’ merger into Group Health Options. The state Office of the Insurance Commissioner signed off on the move last fall. The Federal Office of Personnel Management gave its blessing in December, according to a Group Health spokeswoman. 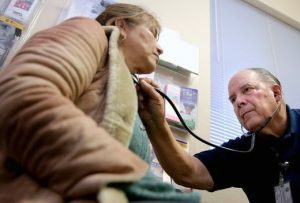 KPS Health Plans, which is based in Bremerton and owned by Seattle’s Group Health Cooperative, will fade out of existence in the coming year. KPS’ operations are being rolled into Group Health Options, another Group Health subsidiary that offers preferred provider plans. In an interview last month KPS President Jim Page, now a vice president with Group Health Options, said it hadn’t been determined whether a Bremerton office would be maintained after the merger. Group Health owns the KPS building at the corner of Fourth Street and Warren Avenue. The building is listed for sale for $5.3 million. KPS Health Plans served about 20,000 members at the end of 2015. A large majority were federal employees. Page said those members won’t see any changes to their plans in 2016, but they will have the option of using Group Health providers if they want to. KPS has posted a FAQ and video more details for members. You can read our December story with more background on the move here. Kitsap residents using the state exchange to shop for health insurance for 2016 will have far more options this year. Consumers in Kitsap will have their choice of 107 plans offered by six carriers when enrollment opens Sunday, according to the Office of the Insurance Commissioner. That’s a big jump from the 67 available for 2015. The increase was largely due to two major carriers, Regence BlueShield and United Healthcare, entering the market for the first time. Regence and United will offer a combined 52 plans through Healthplanfinder. Moda Health, which sold plans in all counties in 2015, has dropped out of the exchange. Statewide, 143 individual plans will be offered through the health exchange for 2016, and 67 will be available outside the exchange. Rates increased an average of 3.9 percent from 2015. Local navigators are available to help consumers wade through the enrollment process, or determine whether they’re eligible for free health care. See the Kitsap Public Health District website for more information. The district is holding a special enrollment event Saturday at Kitsap Mall. Exchange plan enrollment is open from Nov. 1 to Jan. 31. Medicaid (Apple Health) enrollment is open all year. We can pass along some hopeful news for West Sound residents covered by First Choice Health plans. The contract between the health insurance carrier and Harrison Medical Center has been extended to Sept. 30, according to Scott Thompson, spokesman for Harrison parent company CHI Franciscan Health. The contract between First Choice and Harrison was set to terminate on Sept. 1 if a new deal couldn’t be reached this month. Thompson said the temporary extension will allow the sides more time to negotiate. “It’s a good sign, from our perspective, that we want to keep talking,” he said. Thompson said records indicate more than 1,300 patients would be affected if the First Choice contract did terminate. 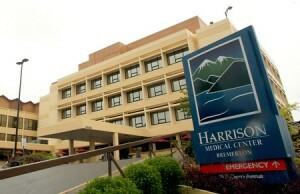 The contract applies only to Harrison’s hospital facilities. Harrison HealthPartners providers and clinics are covered under a separate contract with First Choice, and would remain in-network if the contract terminated. CHI Franciscan facilities would also remain in-network. This post was updated with additional information from Thompson. Hackers broke into Premera Blue Cross computer systems, potentially accessing personal information for 11 million customers, including 6 million in Washington State. According to Premera, the initial cyber attack occurred nearly a year ago, in May of 2014. Premera discovered the attack on Jan. 29. The company informed the FBI and is coordinating its investigation with the bureau. Premera announced the security breach to the public Tuesday and created a website with information for customers. The carrier has begun mailing out letters to affected customers and is offering them two free years of credit monitoring and identity protection services. State Insurance Commissioner Mike Kreidler posted a response to the announcement Tuesday, saying he was concerned about the amount of time it took Premera to report the breach to his office.